I recently went to a potluck. Even as a chef, I had no idea what I was going to take one hour before the party. I dashed over to the grocery store with my ATM card and an open mind. When I walked in I noticed that avocados were ripe, and on sale. BINGO!….A bag of corn chips and you’re good to go. Here’s the recipe, as requested. I can’t take much credit for this because it really had to do with the ripeness of both the avocados and fresh tomatoes. 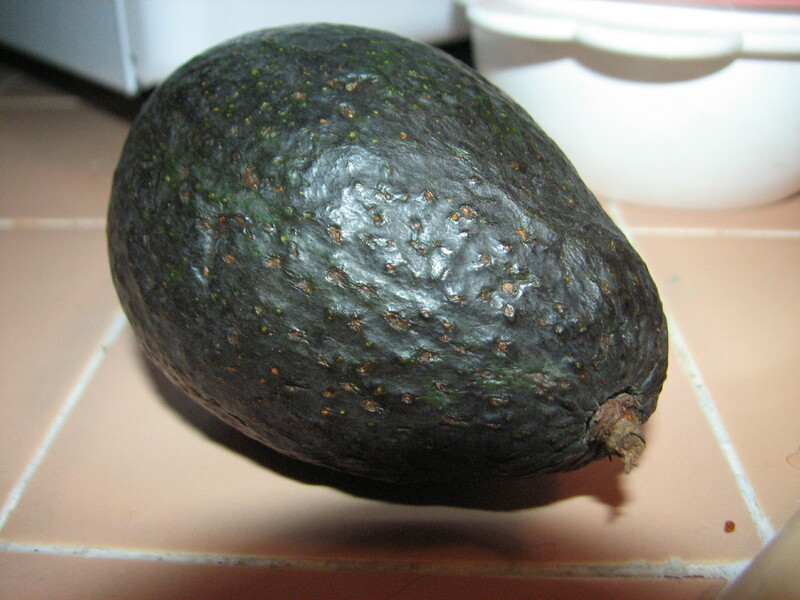 When you select your avocados choose the ones with dark skins and yield to a gentle squeeze. If they aren’t ripe then hang them in a netted bag so they can ripen without bruising. Trader Joe’s has a good deal on them but in most cases you need to ripen them 2 or three days prior to use. 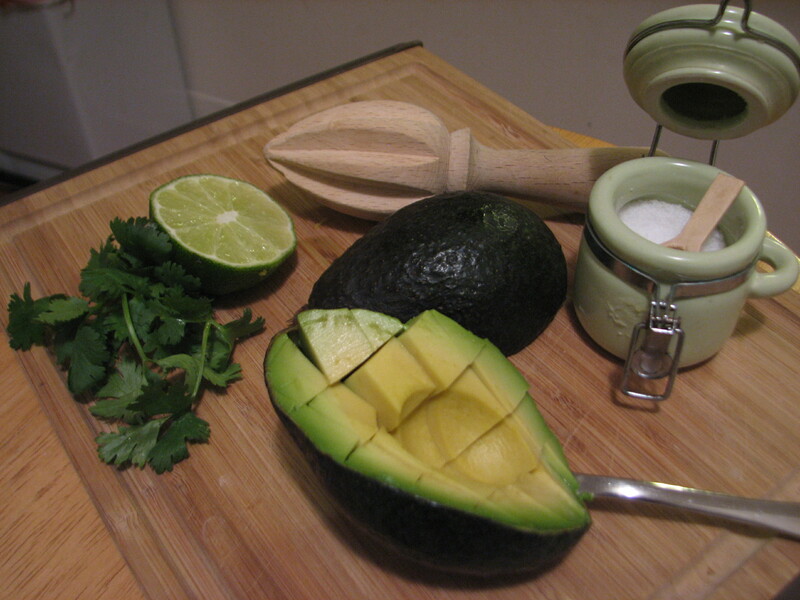 Gather your ingredients cut, pit, dice and scoop out avocado into a glass or stainless bowl. Add diced tomatoes, cilantro, lime juice, chili and salt. Mix together taste with a chip, adjust salt if necessary, then transfer into a serving bowl. *When choosing limes look for the ones that have smooth, bright green skin, these usually contain more juice. Before cutting, roll the lime on a flat surface with the palm of your hand to break up the juice membranes, then cut and squeeze. 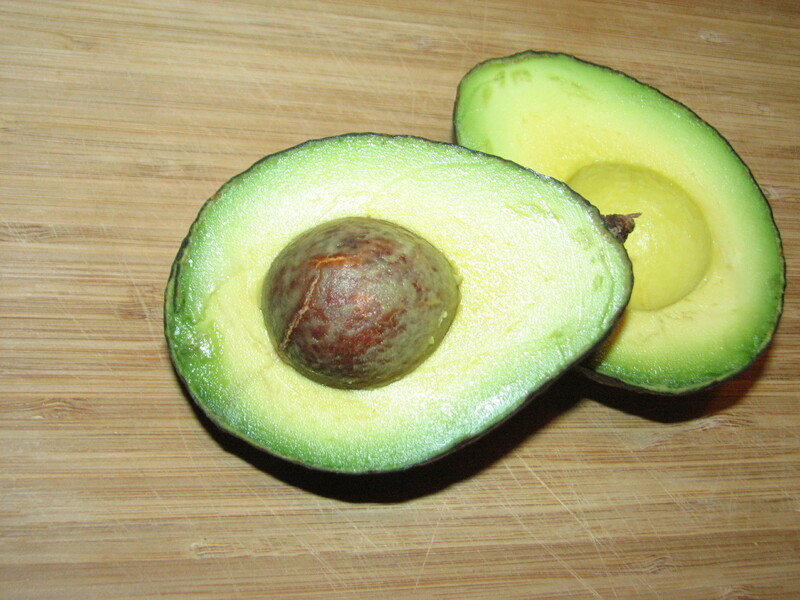 Other helpful tips: To get the pit out of the avocado, cut in half, top to bottom, then gently clef into the pit with the knife so that you can pull the pit out. 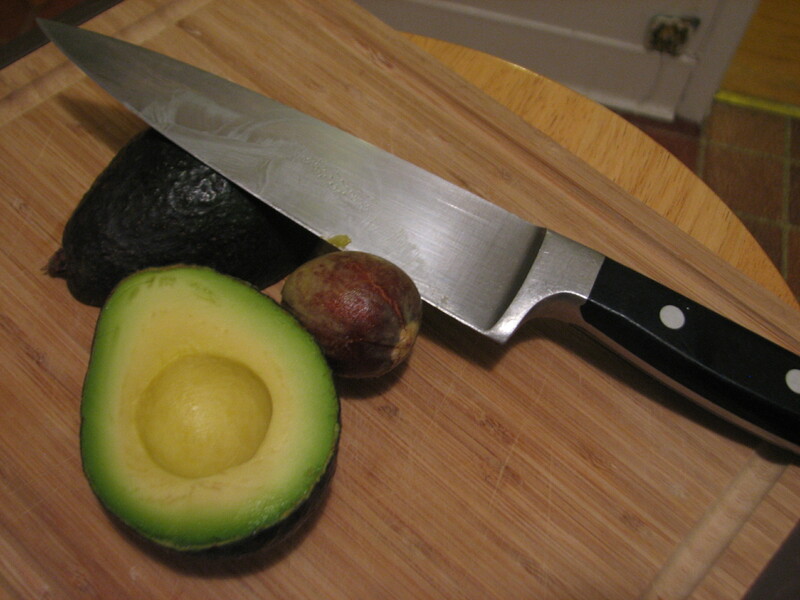 While still in the skin, score the flesh with your knife, actually dicing the avacado in its skin. Then scoop out diced avocado with a spoon. If you want the dip to be spicy leave the seeds in the chili when you dice it. Wear gloves if are sensitive to the burning sensation that occurs when handling the chili’s seeds and veins. ¡Don’t forget the margaritas and cervezas! 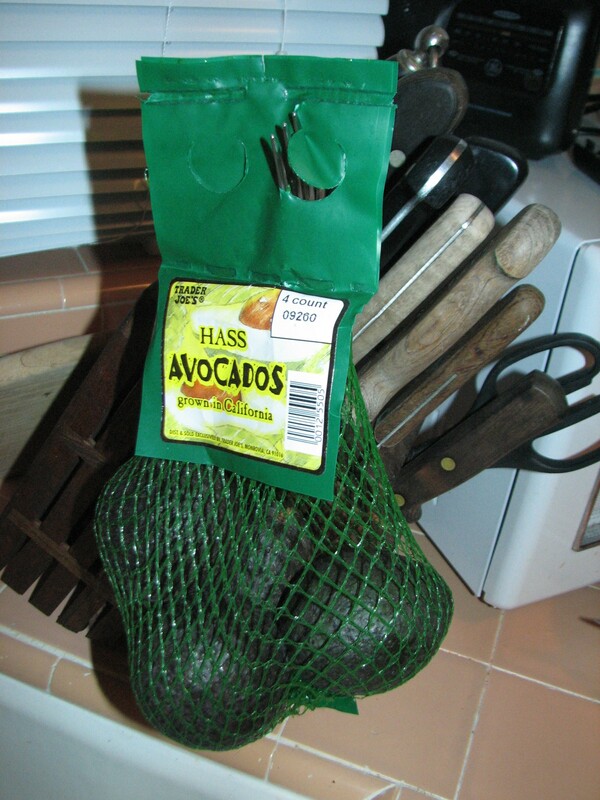 This entry was posted in Avocado and tagged appetizer, avocados, buy local, chef susan, cooking, dips, fresh ingredients, guacamole, hass avacados, isimmer.com, recipes promised, seasonal cooking, Susan Beach. Bookmark the permalink.